Back home (yay!). 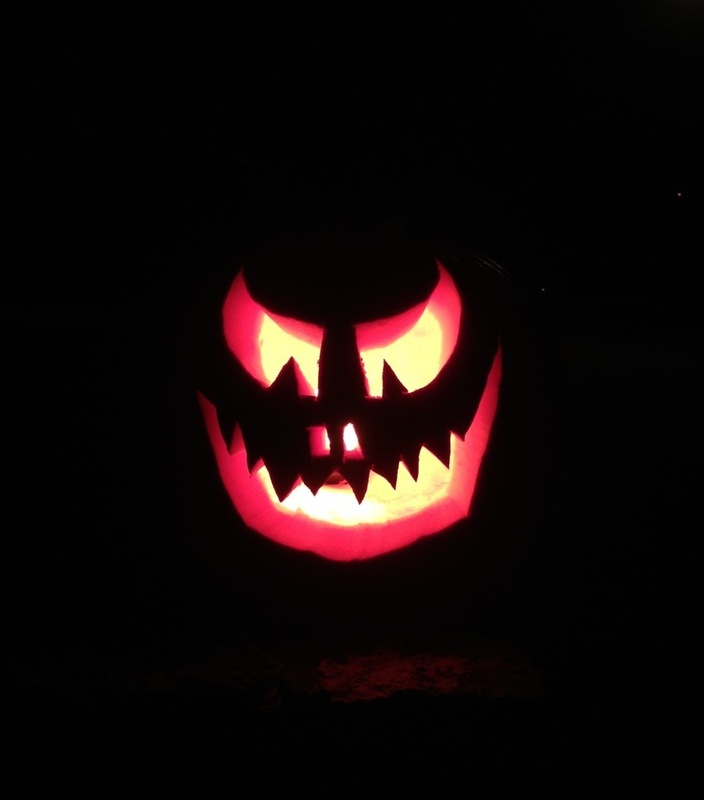 Before dinner, we carved our pumpkin, and hung inviting lights out front. But it’s already 10pm and we’re woefully low on trick-or-treaters. C’mon, people!!! Previous Previous post: Bazillion-th in line for takeoff.